As the office gets busier and busier it’s not always easy to find time to open the doors to young students looking to learn more about the world of Interiors and Architecture. But for the second time in just as many weeks we welcomed a school student on work experince into our hub of creativity and set him to work! Taken under the wing of our resident Interior Architectural Assistant, Julie, Sammy was given the opportunity to watch, learn and practice. 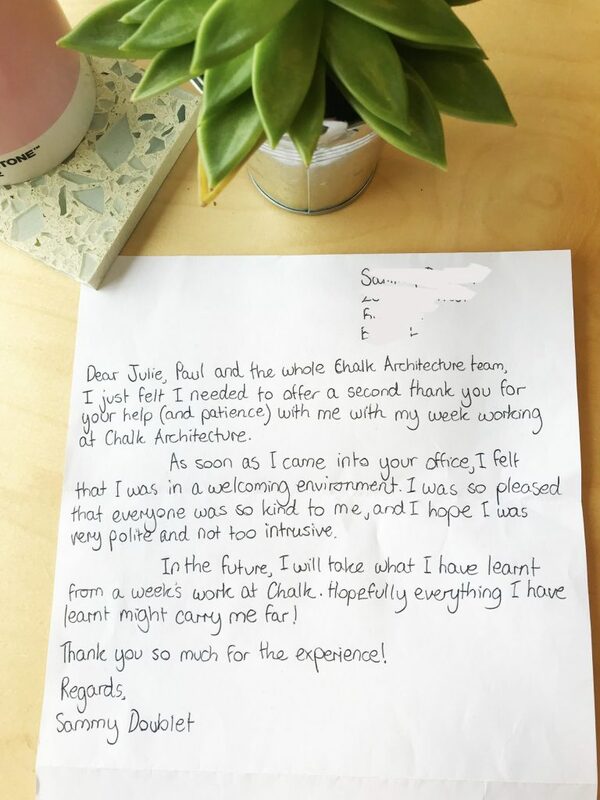 We received this beautiful letter of thanks from Sammy, which in the age of all things digital is a rarity and real treat so we had to share it!